Hi, I’m using Dell Latitude 7490 that has a Micro SD card reader on PCI bus and can boot from card reader. However, even though I have inserted the SD card, when I run this program it says “No USB Disks or not properly partitioned.ReFormat with tools below”. I think this program does not find a USB disk on the PCI bus. Because when I insert SD card through external USB card reader, it works perfectly. And this situation happens during booting too. Even though some images are installed in my Micro SD via external USB card reader, when it inserted in built-in card reader (on PCI), your boot program keep saying “can not initializing USB…” (can’t remember exactly). but if the Micro SD inserted via external USB card reader it works. Please help me to use built-in card reader. There is advanced option to display all disks, not only on USB interface. Use with care. 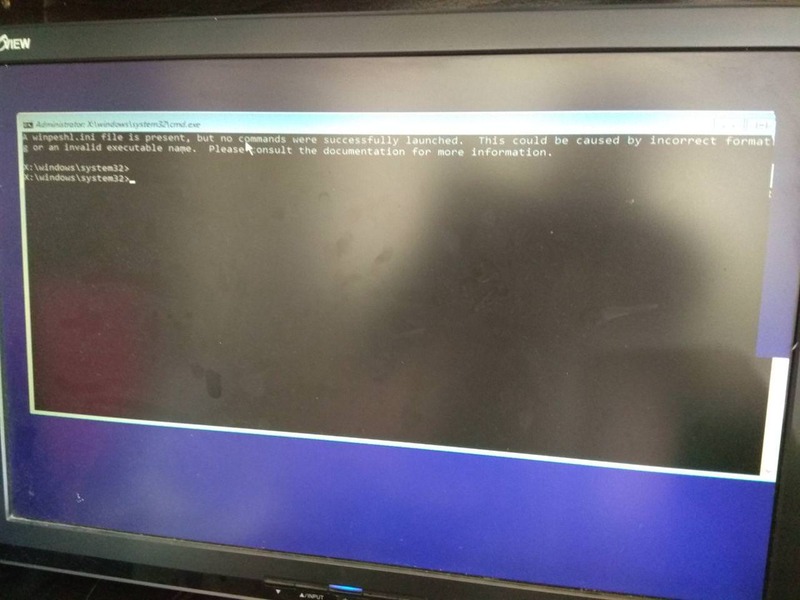 When booting, again, program sees what Windows sees, it doesn’t have any magic power. If the SD card is unavailable at that time, program can’t do anything, it’s Windows not seeing it or not having it ready at that time. Program is intended for USB devices. Having SD card on PCI bus means that there is nothing USB in the equation. First of all I wanted to thank you for developing such a useful tool and distributing it free of charge. I am facing a problem while trying to use WinSetupFromUSB 1.8 to create a Macrium Reflect USB rescue media. The error I get is “Could not prepare NT6 boot files!”. The program then stops. I remember being able to use your program with Macrium’s iso in the past. Also, the iso is bootable when burned directly to the USB stick from Macrium. On a side note, your program does work with other isos. Appologies for the delay, but I still can’t get to my test rig due to holidays, work and other important stuff I need to take care of. Hope to get on that this weekend if in town. Don’t mention it, I am in no way entitled to any support, so I am quite grateful for you even planning on doing it. Even more so in the holidays, therefore have a nice vacation and, if you have time for it later, let me know then. Seems to fail when updating EFI BCD store, BIOS one gets updated just fine. 2018/07/26 10:13:51- The boot configuration data store could not be opened. The system has attempted to load or restore a file into the registry, but the specified file is not in a registry file format. Not sure what the issue is, but bcdedit on the local system does not like the EFI BCD store from that ISO. Thank you for finding the time to look into this. Even with your help, I was not able to understand what’s going on. I tried to make it work a couple more times, but I now gave up on this. Maybe a future update of Macrium will fix it. This app is no more useful because after setting all files when i go to boot mode through usb, it says operating system or ndrl missing. I was using this software since two years. Apparently there is an issue with the USB boot which needs to be troubleshooted. You will need to provide some details first, like what are you trying to boot, what is the USB disk/stick, how was it build etc. It could be just faulty stick or missing files on it. Hello. Itaushanov, I built a bootable USB flash drive with WinSetupFromUSB 1.5 three years ago. It has worked wonderfully well, and I’ve manually edited some boot entries, frequently updated some Antivirus ISOs, and everything works fine. You did a fantastic job, really! But if I add new boot entries with WSFU version 1.8, what is the risk of messing up the flash drive boot? To use the new version, do I need to format the drive and add the boot entries from the beginning? Don’t think there will be any issues, depending on what was customised, but if you want to play safe, you could always take an image of the whole disk, not partition, and restore it if anything goes wrong. With no customisations on the boot menus, all the new version would do is to check and replace if imdisk version needs updating, since older imdisk version had issues with some of the new Windows 10 builds. I understood. Anyway, I made an image file from the whole disk, for precaution. I thought there would be no problems because the boot menus were not very customized, just changed titles and new ISOs added in the *.lst menus, and manually added Windows Setup 7+ sources in the BCDs. I moved custom lines to a temp file and removed changes to the BCDs after take note. So I used version 1.8 to add the new source, and booted the drive with no errors. Later I try to update without removing the customizations. I want to write multiple .iso’s (Linux Debian) onto an 32 GB USB stick. So far I have written the first DVD out of three onto the stick, but ran into a problem when trying to write the second one. The problem is that the file is over 4.5gb big , thus it can only be written on the USB stick with NTFS. However, this option is only available when clicking the “Auto format […]” Icon. This will wipe the USB stick and makes it useless because I need all 3 DVD’s. Is there a solution ? I don’t want to install Debian from the internet without torrenting for security reasons. Since you only have one ISO on the USB stick, why not just start over, and format the USB stick as NTFS? 2) Copy (all) the files from the first DVD to the new one. The former method worked. Did not knew if this was relevant. I was tryin to install win 10 to my usb but mistakely got windows xp setup. And i cant even format my drive. Even Slow format from cmd doesnt work. Está dando error insufficient acess rights na hora de preparar o pendrive para formatar.me ajudem por favor. Could it be that Windows 10 1809 is not supported? What’s the issue you are experiencing? a winpeshl.ini file is present but no commands were successfully launched g or an invalid executable name…. Windows 10 version 1809 build 17763 is the “October build” scheduled to be released October 2nd. It is currently available for “Windows Insiders” as a “preview build”. (M$ naming convention for Windows 10 builds is yymm, where yy and mm are the year and month of the scheduled release. So the current build, 1803, was scheduled to be released in March of 2018, and the 1809 build is scheduled to be released September 2018).